In the top of the tenth with the placed runner at second base, Head hit a batter and allowed a walk to load the bases. He then uncorked four straight balls, walking in the runner to give Arkansas a 1-0 win. *White got the start on the mound for Tulsa and was very good for four innings. He stuck out six Travs and did not allow a hit. *Curry relieved White in the fifth and faced nine Travs batters over three innings. He retired them all in his perfect relief outing and struck out two. *On the other side of the ball, Arkansas starter Darren McCaughan was very good in six innings of work. He struck out eight, gave up only three singles and did not allow a Drillers batter to get past first base. *Tulsa's no-hit bid continued through the eighth inning, but not without some difficulty. Kasowski relieved Curry and walked a pair of Travs hitters, putting a runner in scoring position for the first time on Sunday. But Kasowski worked out of the jam and got Jake Fraley to ground out, ending the inning. *Head replaced Kasowski and struck out the side in the top of the ninth. After striking out the first two batters in the tenth, the game started to unravel for Head. With the placed runner already at second, he hit a batter and allowed a walk to load the bases. Head then threw four straight balls, allowing the winning run to score from third. *Logan Landon recorded another hit, continuing his hot start to the season. He has recorded a hit in each of the six games he has started this year and is batting .455 on the season. *Jared Walker extended his hitting streak to five games with a single on Sunday. He is batting a healthy .385 so far in 2019. *Despite the loss, this is the first nine-inning Drillers no-hitter since Everett Cunningham and Barry Manuel combined for one on April 18, 1991. *The last Drillers no-hitter came on April 13, 2001 when Andy Pratt no-hit Arkansas in a seven-inning game. *The Drillers recorded five singles but did not advance a runner past first base. They did have a runner in scoring position in the top of the tenth with the placed runner, but went 0-3. *Gavin Lux's seven game and Omar Estevez's eight game hitting streaks came to an end. Before Sunday, each had recorded at least a hit in every game they played in 2019. 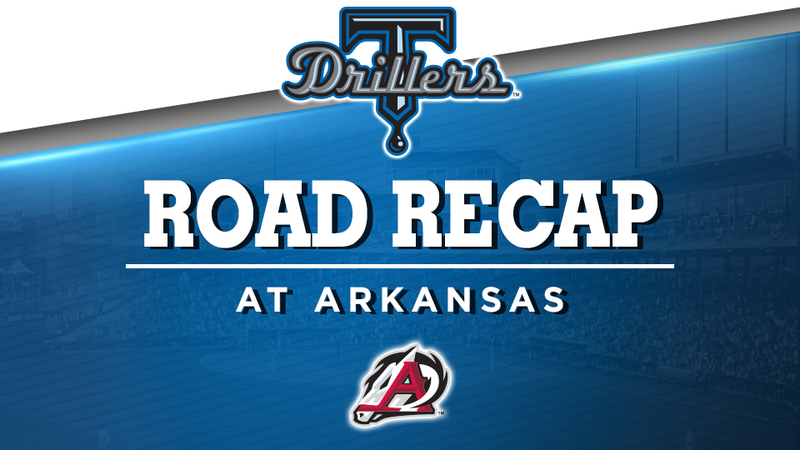 *The loss drops the Drillers to three games back behind the North Division leading Travelers. UP NEXT: Tulsa at Springfield, Monday, April 16, 6:30 PM at Hammons Field in Springfield, MO. Drillers starter TBA vs. RHP Williams Perez.